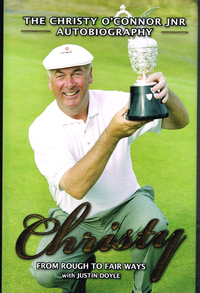 We would like to thank Christy O'Connor Jr, EIGCA Senior Member, for donating his book to the Library. After turning professional in 1967, Irish golfing legend Christy O’Connor Jnr was at the forefront of the PGA European Tour for over two decades. He won seventeen times in seven different countries during a very successful career on all PGA tours. The R&A supports the development of the game globally and wants to encourage more people to play golf in more places, more often. The lack of access to affordable and enjoyable facilities available for practice and play is a major barrier to this goal. 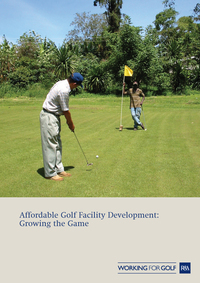 Facility development must be viable not only for today’s golfing public but also over the long-term to support sustainable development of the sport. On 14 November, the Commission finally published the new umbrella policy for water, the ‘Blueprint for Safeguarding Europe’s water resources’. Martin Suiter, a market research consultant, working in Germany, has produced a study on the emotions of golfers, with a focus on tourism and equipment purchases. He has been working in the golf business since 1990 and has explored all corners of the industry. A round up of recently published articles from a range of magazines and online newsletters. 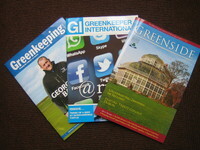 All the usual titles have been covered, including the latest issues of Golf Management Europe, Greenside, Greenkeeper International and Greenkeeping.